Some aspects of the construction and renovation industry can be described as a modern day wild west. This industry is full of the “fly by nighters” with removable magnets on the side of their trucks who love the cash deal because there is often no contract involved, the contractor makes a disappearing act with your money and the client is left with incomplete renovations and empty pockets. These guys do not have the appropriate liability insurance, do not pay remittances to Canada Revenue Agency (CRA) or report earnings, do not pay their suppliers, etc. If you are lucky enough to actually have your renovation completed by one of these guys, there are additional unforeseen risks that may not at first be apparent. For example, was the renovation built to code and were proper building permits obtained? Also, a year down the road when you need to make a warranty call on your renovation, chances are that the “fly by nighters” will no longer be in business leaving you in the lurch. So how can you tell the bad guys from the good guys in this unregulated industry? A good place to start is to research a company’s professional affiliations. Professional affiliations such as the Better Business Bureau (BBB), the London Home Builders Association (LHBA), and RenoMark lend instant credibility because these organizations have very specific standards that a contractor must be in compliance with and must remain in good standing year after year. Membership to these professional affiliations indicates that the contractor is established in the construction & renovation industry, specific standards of workmanship are adhered to, that appropriate insurances, taxes, and remittances are being paid, and that the business operates in an honest and integral manner. Framewerks’ professional affiliations include the Better Business Bureau (BBB), the London Home Builders Association (LHBA), and RenoMark. The following is a description of each organization as well as their standards for membership. The Better Business Bureau (BBB) is designed to give business information such as the number of years in business, number of employees, and services offered. The BBB will indicate if the business is accredited by the BBB and will assign a grade to the business according to their rating system. Complaints against the company are also recorded. The BBB standards that are to be followed are to build trust through a positive track record, advertise honestly, tell the truth in respect to products and services, be transparent and disclose all policies, guarantees and procedures, honor promises with written agreements, be responsive in addressing disputes quickly and professionally, safeguard privacy in the collections of personal information, and embody integrity. The London Home Builders Association (LHBA) is a business organization consisting of builders, renovators, developers, suppliers, subcontractors and supporting financial institutions and professionals. The LHBA code of ethics states that members shall comply with building codes, plan their sites and home to conform to the principles of good community planning, deal fairly with employees, subcontractors, and suppliers, and deal honestly and fairly with customers. 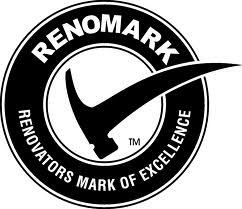 RenoMark is a professional renovation organization that identifies renovation contractors who have agreed to the LHBA code of ethics as well as the RenoMark code of conduct. The RenoMark code of conduct states that a member must be in good standing with the LHBA, provide a detailed written contract for all jobs, offer a minimum two year warranty, carry a minimum of $2 million liability insurance, have WSIB coverage for employees and work with subcontractors with same coverage, carry applicable permits and licenses, maintain a professional level of knowledge on current building codes, permit procedure, and technical skills through continued education at LHBA, maintain a safe and organized work site, and return phone calls within two business days.